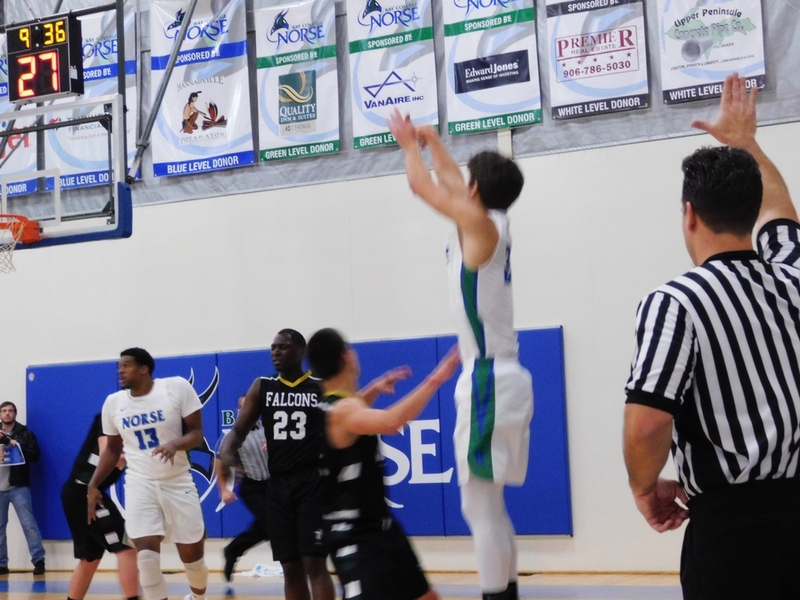 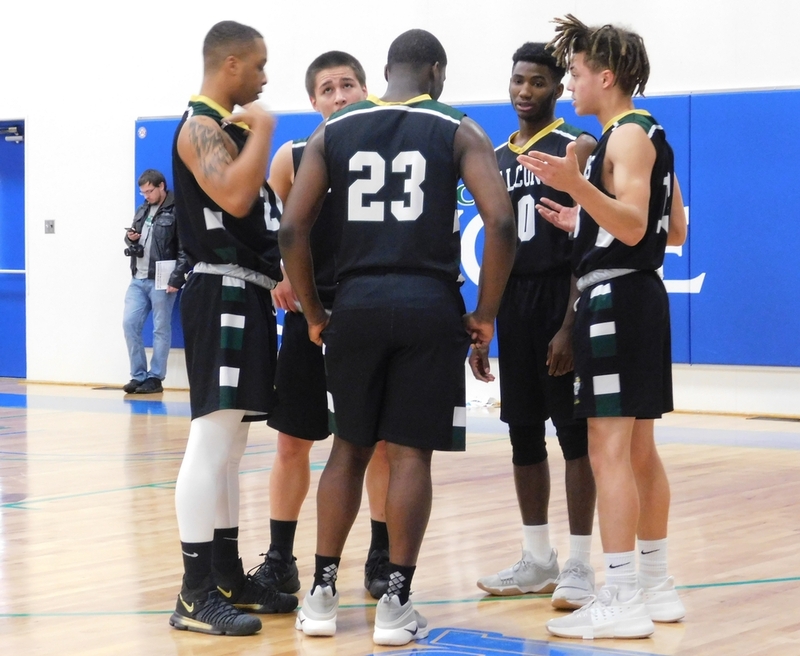 ESCANABA---The Bay College men's basketball team rolled to a 102-64 win over the University of Wisconsin-Fond du Lac Falcons Saturday afternoon in Escanaba. 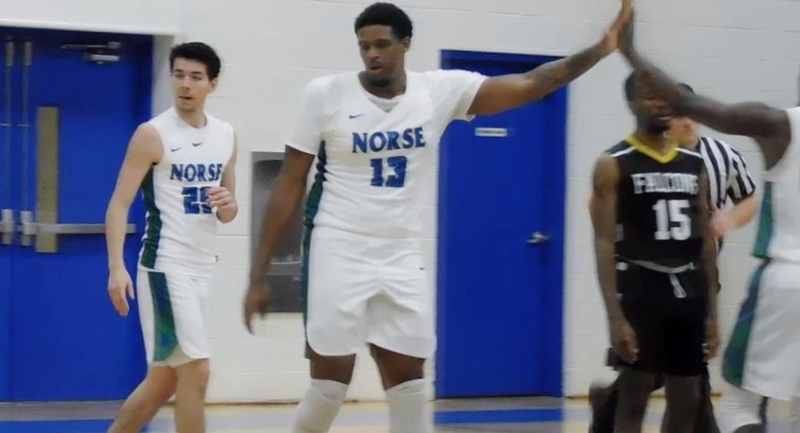 Every player on the roster scored at least two points after the Norse raced to a 17-0 lead and never looked back. 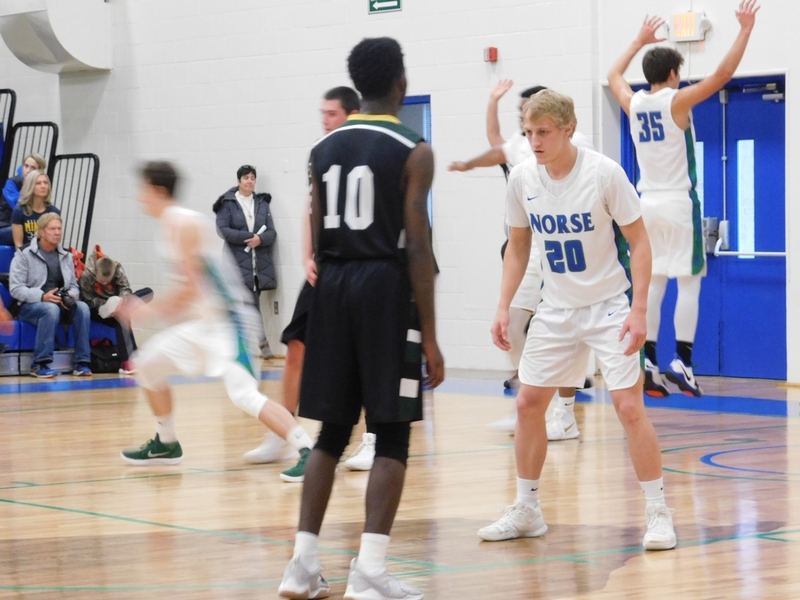 The Norse established the post position early in the game as Kobi Barnes scored ten of his team-high 20 points in the first four minutes of the contest. 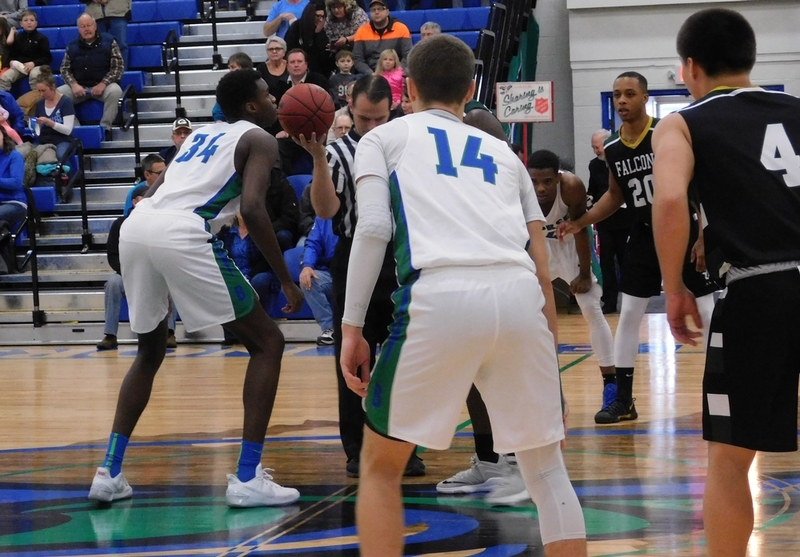 Fellow "big man" Dontae Ellis came off the bench to score 14 points, and Escanaba High School graduate Tyler Willette added 11 points in limited playing time. 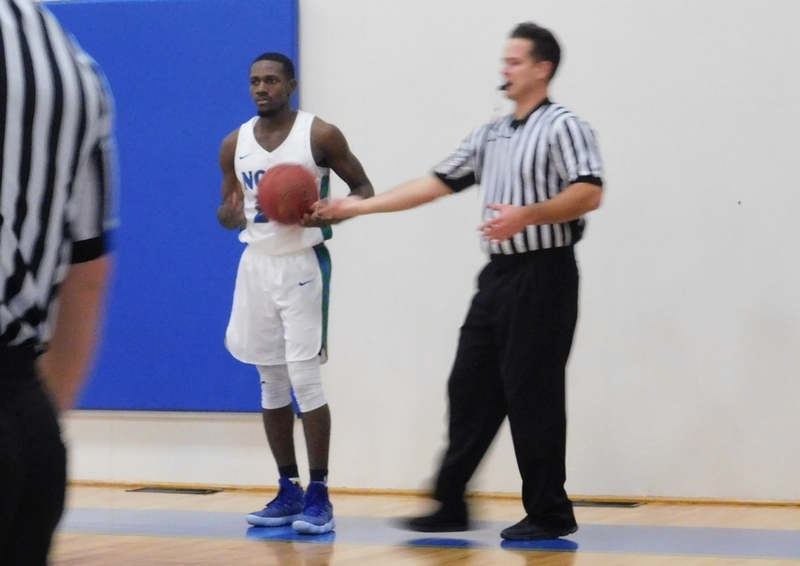 Alfonzo Fields broke out of his shooting slump to add 13 points, including a pair of triples. 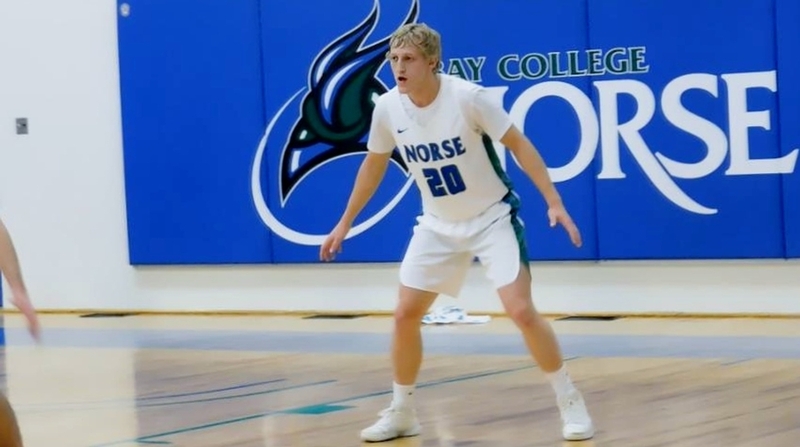 Bark River-Harris High School graduate Jace Briggs scored a career-high eleven points, including a trio of three-pointers, to become the fifth Norse player to score in double figures. 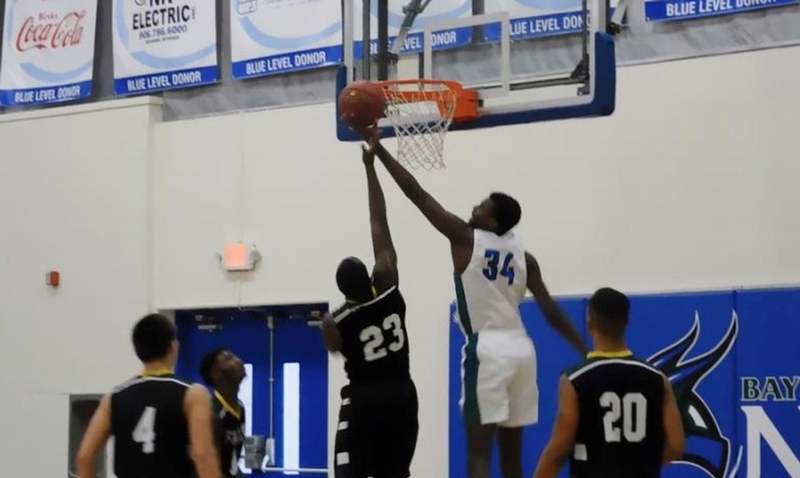 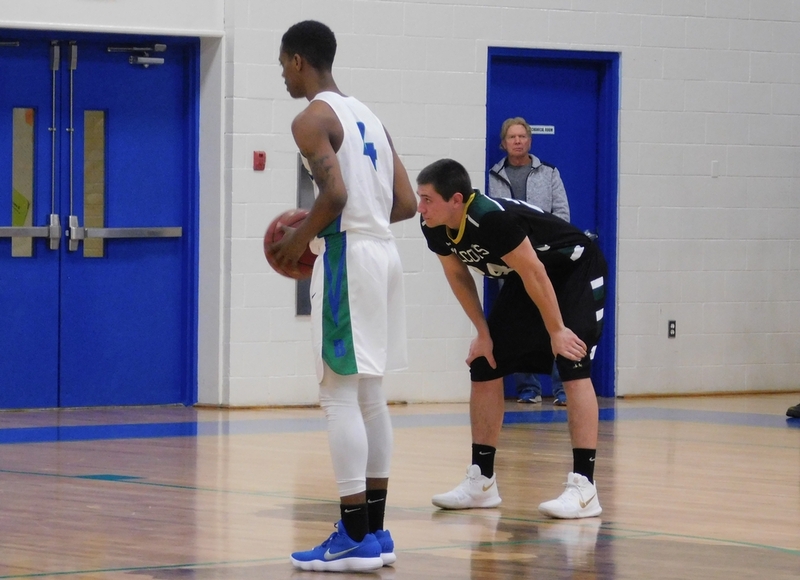 Manistique High School graduate Darien Nichols had a career-high nine points, and Mid Peninsula's Damian Richmond chipped in with eight points. 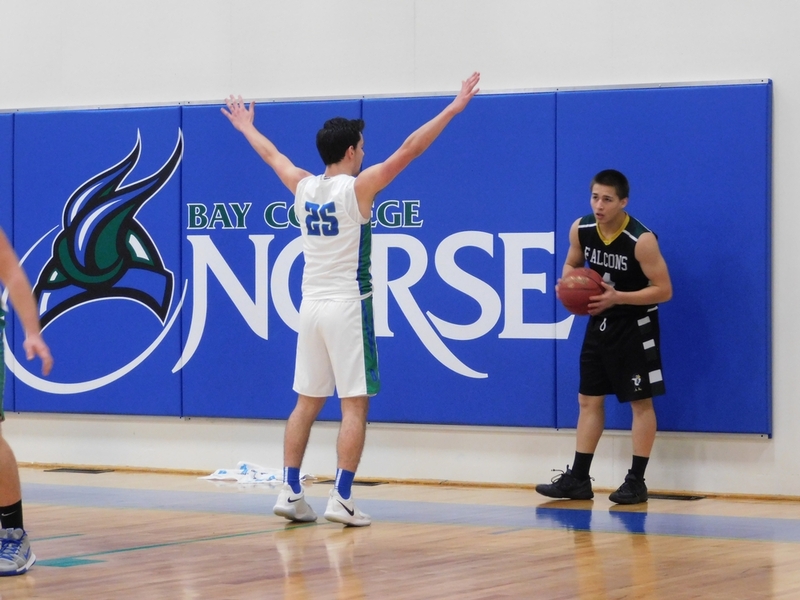 Bay College had its 17-0 lead cut to 21-9 midway through the first half, but Willette scored on a put-back, then Briggs and Marquette graduate Garrett Finkbeiner nailed three-pointers to re-open the margin. 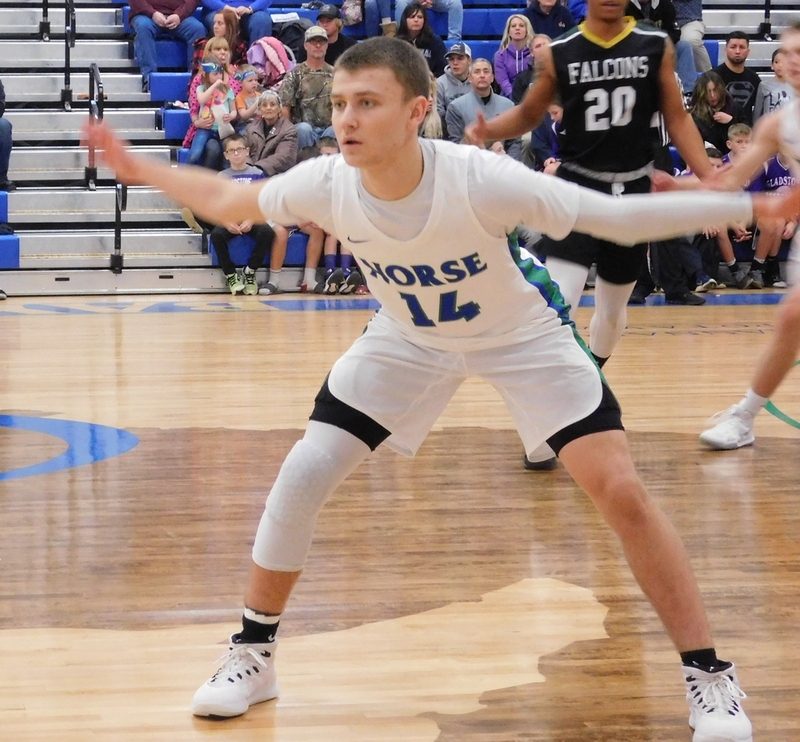 It was 56-27 at halftime. 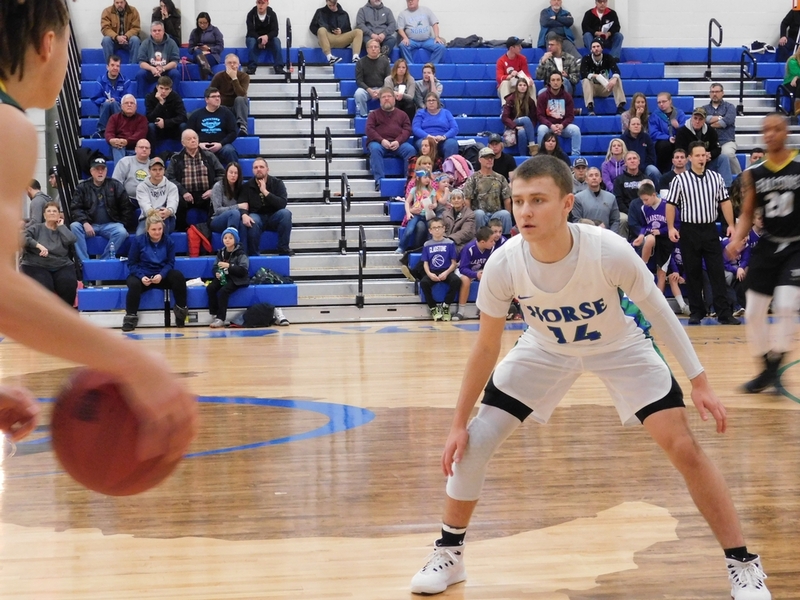 In the second half, guys who don't play much, got a bunch of minutes, and did well, including Republic-Michigamme's Hunter Schultz, who scored five points. 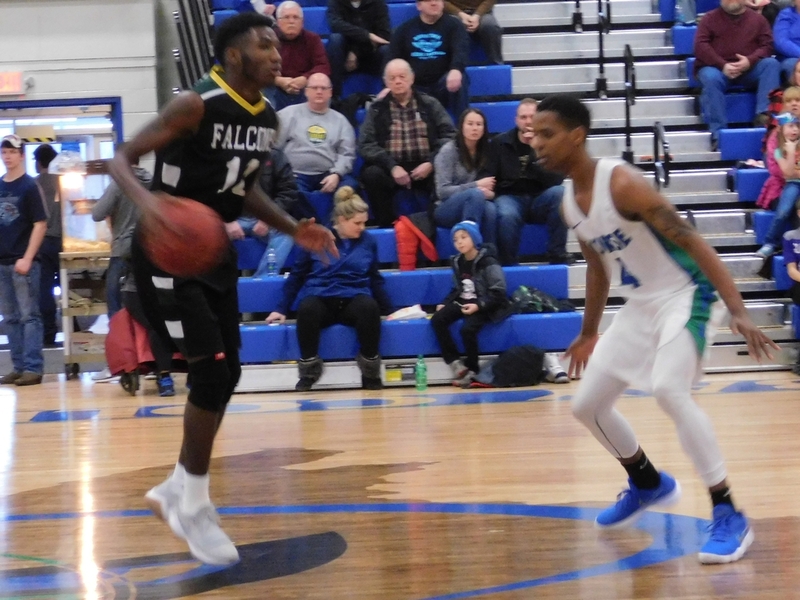 The Falcons came to town with just seven players due to injuries and illnesses, and they were spread even thinner when two of their players fouled out in the second half. 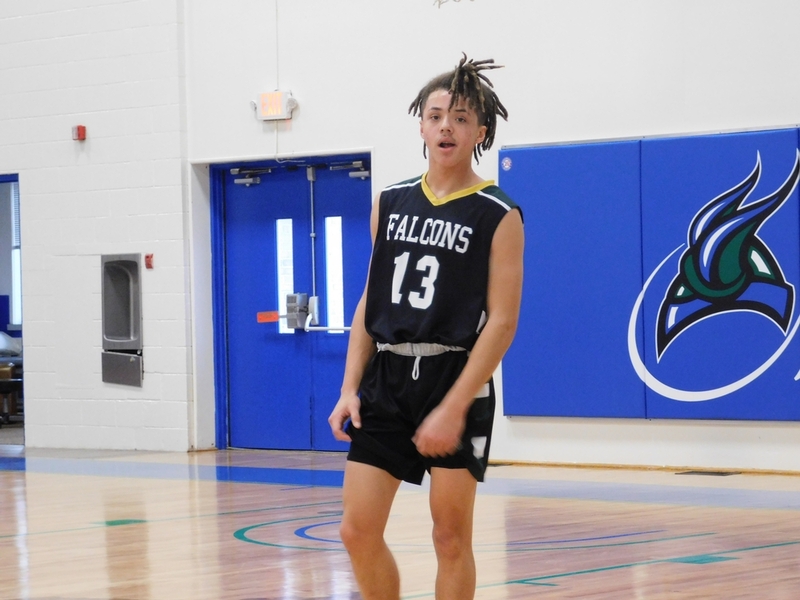 Chris Aviles and DeAndre Ross both scored 21 points for Fond du Lac. 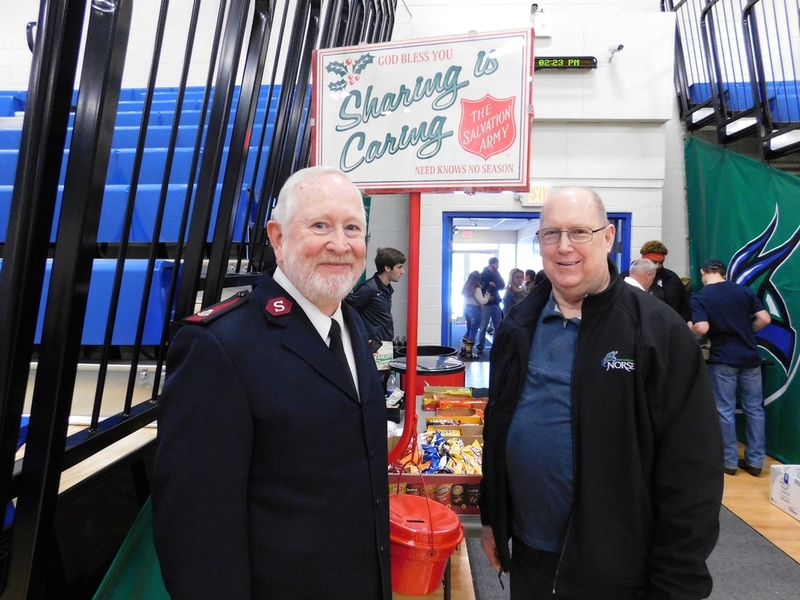 The game served as a fundraiser for the Escanaba Salvation Army's Christmas Campaign. 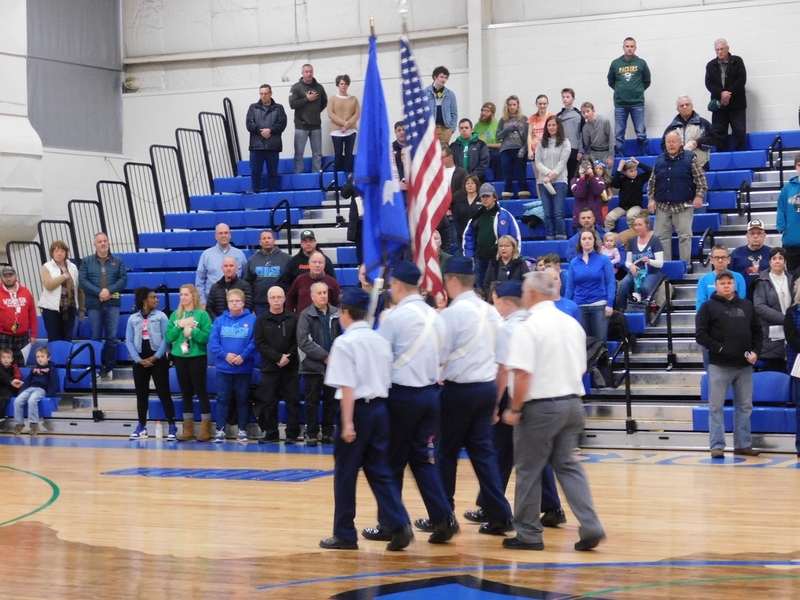 People who attended the game were given free admission, in exchange for a donation of non-perishable food items, toys, or cash. 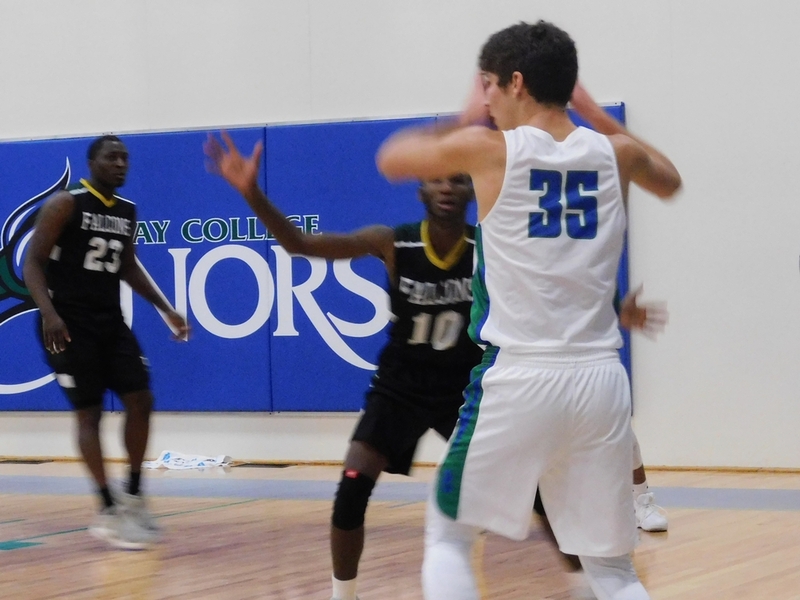 Bay College improved to 8-5 on the season, and will head to Ironwood next weekend. 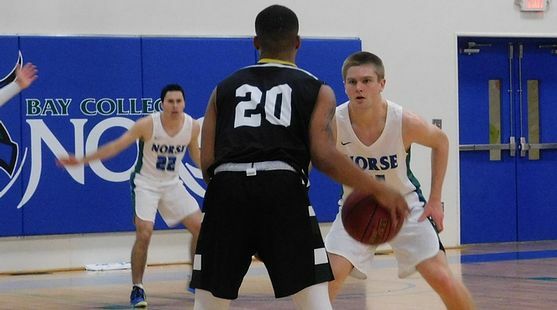 The Norse will face Western Technical College (Wis.) Friday at 5:00 ET, and Silver Lake College (Wis.) on Saturday at 1:00 ET. 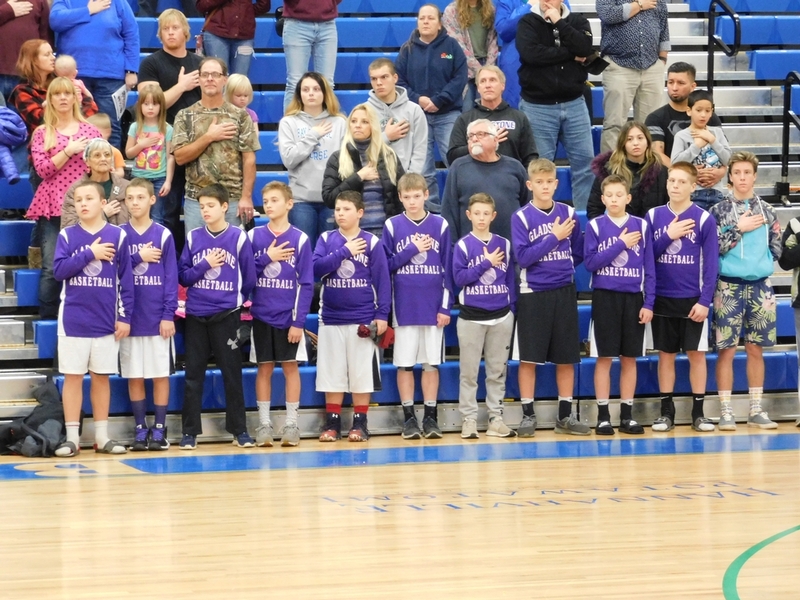 Both games will be broadcast live on WXMG-FM (Maverick 106.3), and on-line at www.radioresultsnetwork.com. 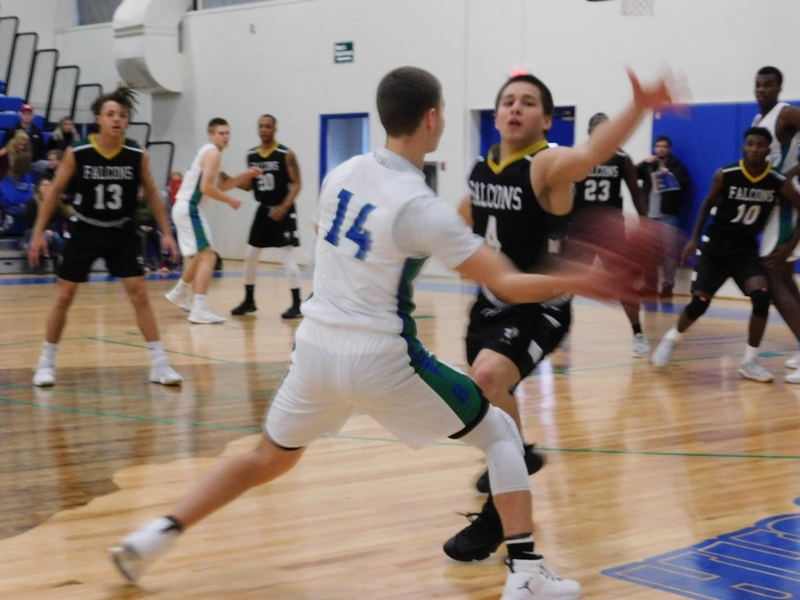 Click the thumbnails in the ARTICLE HIGHLIGHTS box above to see photos and video highlights, and listen to interviews with Schultz, Briggs, Nichols, and Coach Matt Johnson.